It's always a pleasure when Alex McMurray comes up from New Orleans. Our relationship dates back to just after Katrina. We will be headlining Sullivan Jan 15, 2010 11:00pm - 2am. This will be our only New York City show together this time around. We will perform songs from Alex's new Cd "How to be a Cannonball" (Threadhead Records). Alex will also join in with Bill and the band in a wailing Nola R&B set. 18 and over. I posted an mp3 from the February Sullivan Hall show. You Rascal You. Kinda cool intro eh? Also The website is a now little more modern... you can now subscribe with an RSS thingy to news and show information. Check out Andrew Vladeck's latest CD. "The Wheel". I'm playing on 6 tracks or so. http://www.andrewvladeck.com I like it! 2/24/2009 - Performing Dr John's Gumbo at Sullivan Hall NYC - Fat Tuesday 2009! Today is Fat Tuesday! Happy Mardis Gras! The band and I will perform the classic 1972 album "Dr John's Gumbo" tonight at Sullivan Hall. My lineup is all set and it has grown a bit. This won't be duplicated for a while (if ever) so please come down and enjoy! We start at 10pm. Funky Fritters are at 8pm. 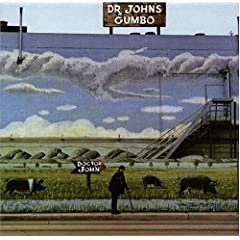 Dr. John's Gumbo was ranked number 402 on Rolling Stone magazine's list of the 500 greatest albums of all time. We will be performing the record in it's entirety at 10pm. Just did some nice overdubbing with Jack Grace yesterday. The new Album is called "drinking songs for lovers". So far it sounds damn good. They are mixing as I type this. Too bad I'm not there to convince them to turn the organ and piano's louder. I'll be down in New Orleans a bit the end of Nov/Dec. I'm excited to be backing up Shannon McNally and the Lower 911 (Dr John's band). Alex McMurray, Simon Lott, Tommy Sciple and I will be hitting the D.B.A. on Nov 30. New Orleans is warmer then NYC right now. That is good. I'll be playing solo piano every friday in August. I'm very excited to be here as it is one the best, intimate spots to play music in NYC. AND they have a real piano. It's been a good week. I had a nice couple of gigs with Shannon McNally last weekend. We did a bunch of Bobby Charles tunes and she really impressed me... especially being 7 months pregnant! 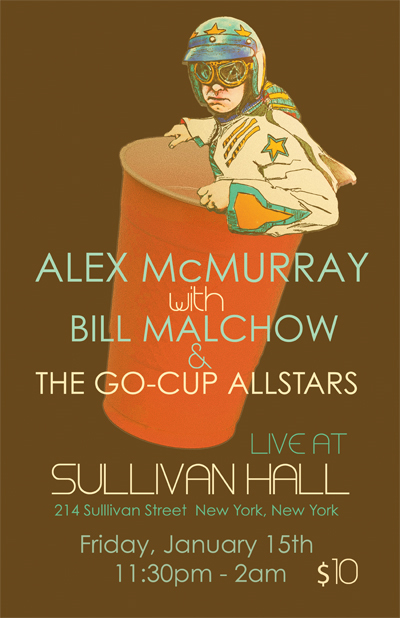 This Friday Bill Malchow and the Go Cup All Stars will be on the main stage at B.B. Kings opening for the Funky Meters. Maybe I can steal some licks from Art Neville. Hope to see you there. Last night I opened for Buckwheat Zydeco at B.B. Kings Blues Club here in New York. Opening gigs can be fun, but also a little stressful, as everyone is just staring at you waiting for the main act wondering who you are. But, the people tonight were really receptive and made us feel welcome. Dancing, singing along, and they bought some Cd?s, what more could you ask for? Buckwheat played great. We all know about the accordion but he's also an awesome organ player which I didn't know. I also learned he hated Zydeco as a kid. One day Clifton Chenier (father of Zydeco) had him play organ with him and Buckwheat got hooked.